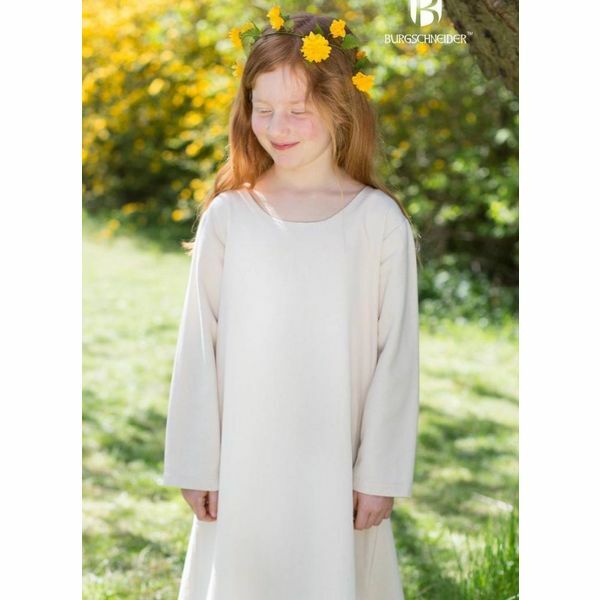 The girls' dress Ylvi is an adaptation of the Medieval dress Freya, both available in several colors. 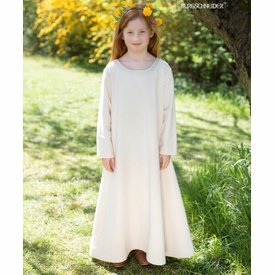 The Ylvi dress can be combined with the hangeroc Ylva. Mother and child can harmonize the colors of their dresses and hangerocs! For a colorful re-enactment event. Size: 104 up to 152, see measurement chart below.